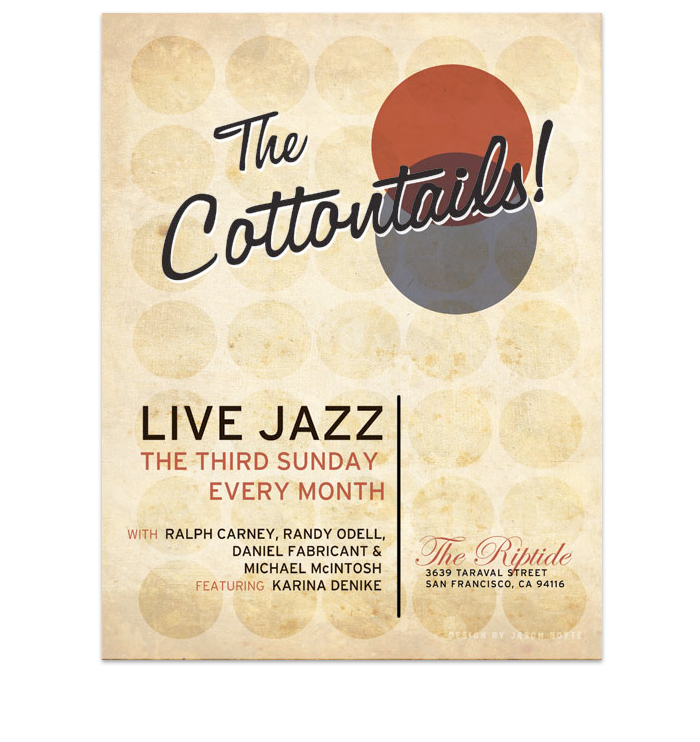 The Cottontails are an old-school jazz combo featuring vocalist Karina Denike and a number of SF jazz veterans. Their take on early jazz needed a poster that represented their classic and nostalgic nature. This poster advertises their residency at The Riptide each month.